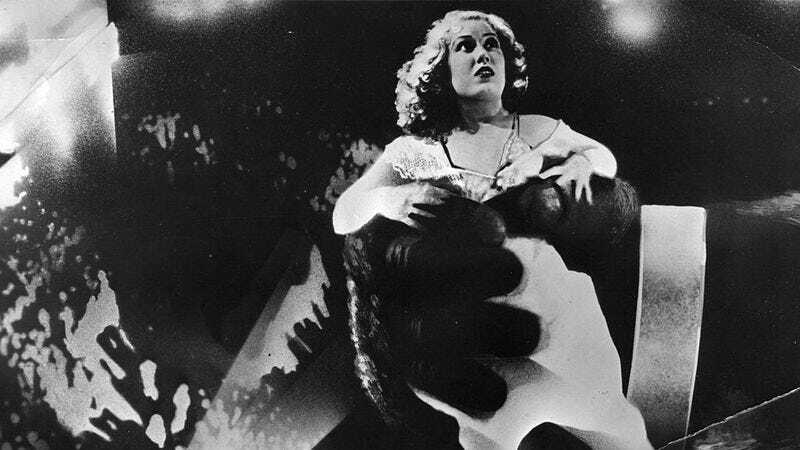 Usually, in anything Kong-related, the female leads are relegated to screaming, running, being offered up as sacrifices, and getting scooped up into giant furry hands (and, in the case of King Kong ‘76 star Jessica Lange, getting smacked around by a giant pair of mechanical hands helmed by Italian technicians). But Kong: Skull Island’s Brie Larson was, as The A.V. Club’s A.A. Dowd put it, “a touch less damsel-in-distress” than her predecessors, and an upcoming TV project reported in Deadline is hoping to take that trend even further with a “female-led, multi-cultural ensemble” series set in the Kong universe. Called King Kong Skull Island, the independent project—which has yet to find a network home—is based on Merian C. Cooper’s King Kong, a rewrite of the original novel published in 2005, and the illustrated novel Skull Island from writer/illustrator Joe DeVito. But don’t expect blockbuster-level special effects: The project hails from MarVista Entertainment, the production company best known for Lifetime originals like House Of Versace and A Deadly Adoption. It’s more Mighty Peking Man than Peter Jackson, in other words.